Lit from Within: The Dark Side Has... Unicorns? I have a treat today - it was a treat for me to wear, and I hope it will be a treat for you to see. 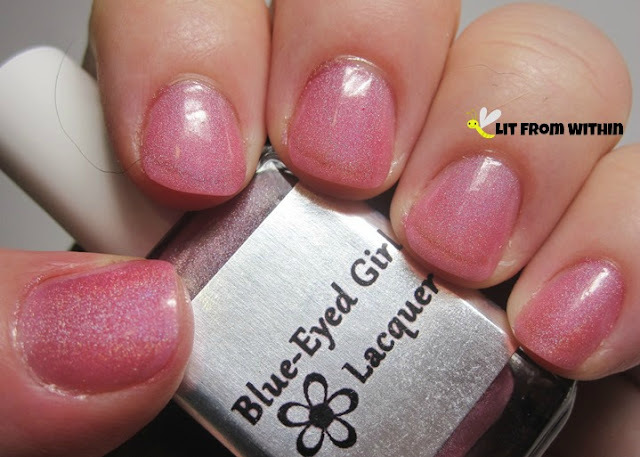 Holos from a new Indie - Blue-Eyed Girl Lacquer. If you aren't following Wishes of a Blue-Eyed Girl, I think you should be. As long as you keep following me, too. Yeah... yeah! 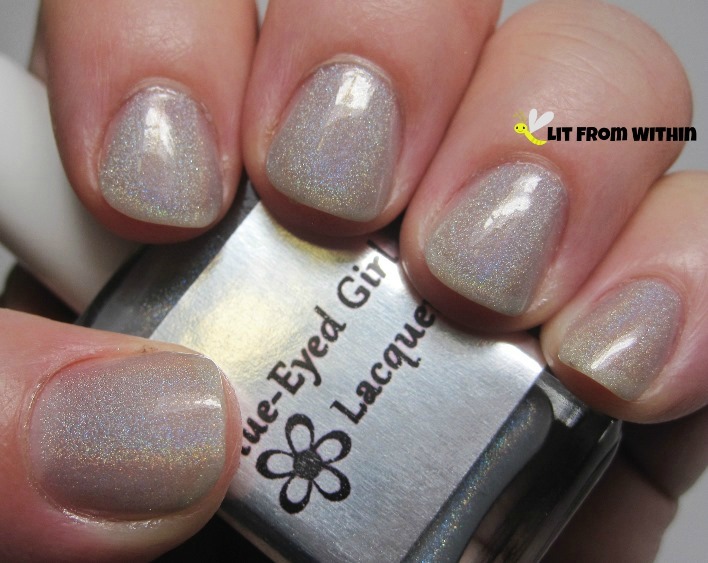 This is Blue-Eyed Girl The Dark Side Has Cookies, a dove-grey linear holo. 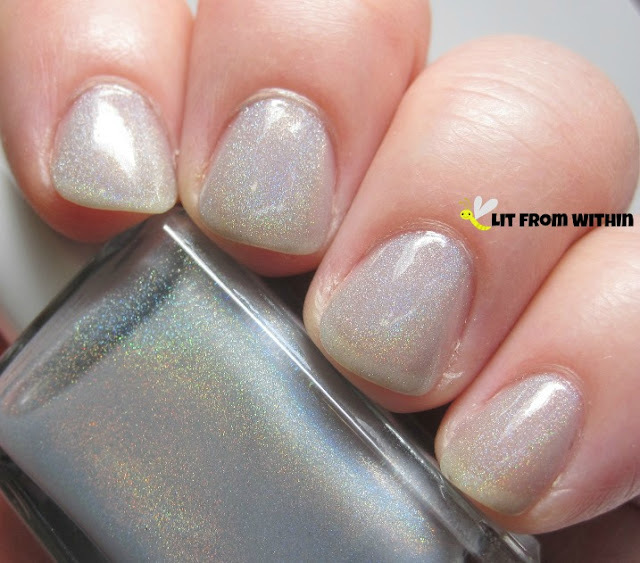 It's pretty sheer, and does remind me of wearing a holo topcoat on its own, but it's not that sheer, and it's a bit more grey. 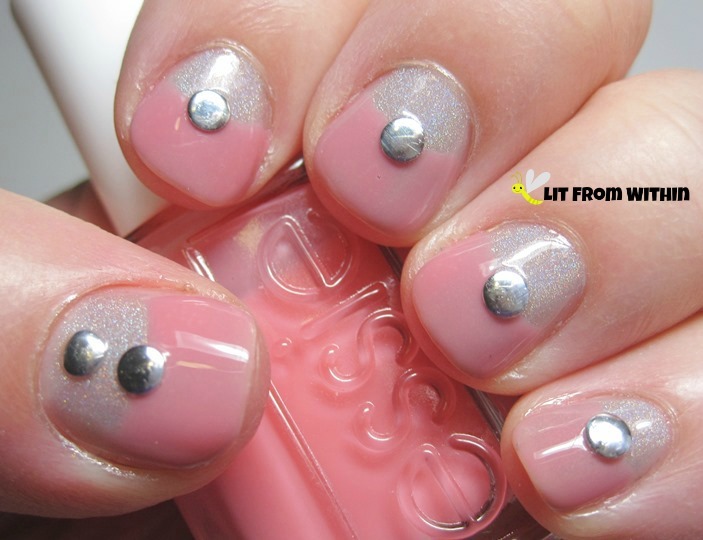 I love grey and pink together, so I paired it with the soft jelly pink of Essie Shop Till I Drop. 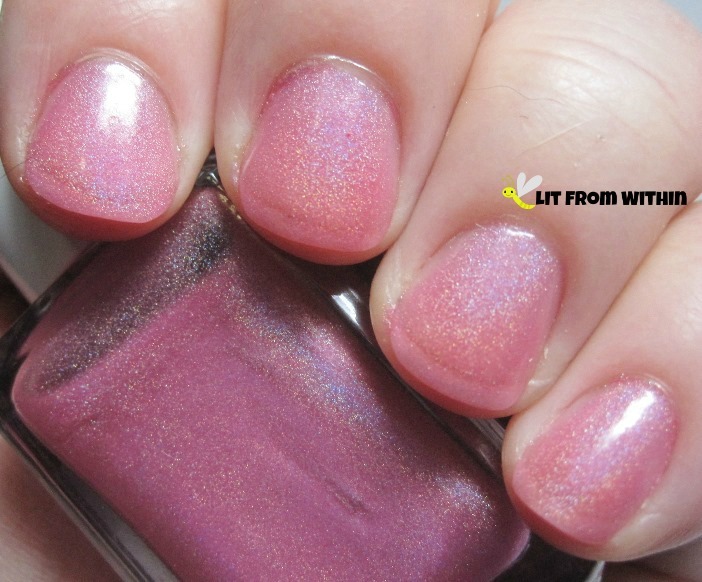 This is a pretty sheer jelly, so I laid it on rather thick for this mani. I also added some studs I received in my Winstonia July Grab Bag. Too cute! Next up, an LE polish that she's no longer selling (sorry!) Elusive Unicorn. 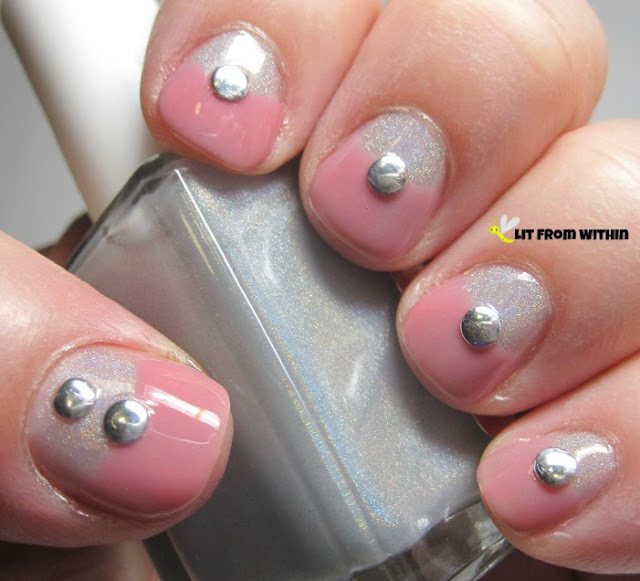 This one is also a little sheer, but the formulas were both so nice, you could probably put on as many coats as you wanted. 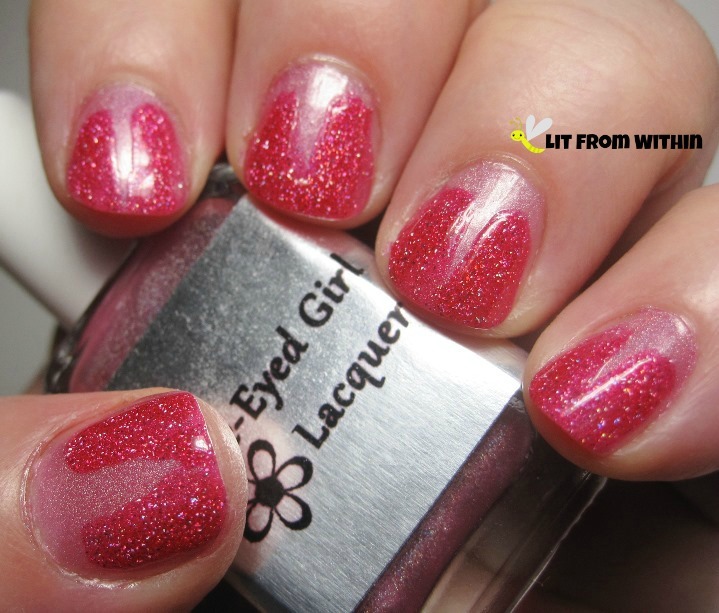 I wanted a little more in-your-face pink, so I added a V-gap with LA Girl 3-D Dazzling Pink, a hot pink scattered holo. V-gaps are pretty easy, and I could have added more definition by adding some black with a striper, or even some dots, but I loved this just as it is. I don't normally wear tons of pink, but I enjoyed both of these looks a lot! If you'd like more information about Wishes of a Blue-Eyed Girl, she can be found on Facebook, and her blog. 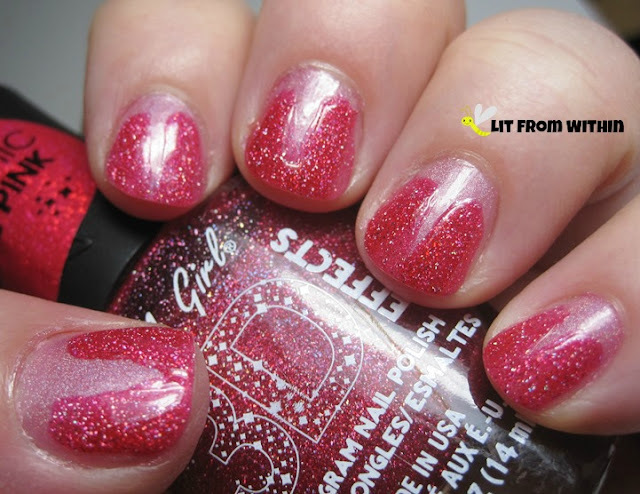 Are you thinking pink? Or wishing like a blue-eyed girl? I love that dove grey! I agree, it's so soft and pretty.